Nigerian Navy Secondary Schools (NNSS) Sales of Admission Forms into JSS1, Purchase of Scratch Cards, Authorized Scratch Card Sales Outlets, Online Application Procedures, Examination Slip Printing Procedures, PIN/Serial Number Retrieval for 2019/2020 Academic Session. The Directorate of Naval Education, wishes to inform Parents, Guardians and the General Public that the Admission into JSS1 in all Nigerian Navy Secondary Schools (NNSS) for 2019/2020 has begun, Access Cards are available in all Nigerian Navy Establishments. See below for a list of authorized scratch card sales outlets. Note the location from which you purchase your card (e.g. A1 - Nigerian Navy Primary School Ojo Lagos). This will be required during the online registration. Walk into any of our designated outlets and ask to buy a NNSS Admission Portal scratch card. Pay the fee of N1,500 and you will be issued a registration scratch a card. Gently scratch out the grey patch of the card to reveal your Serial number and your Personal Identification Number (PIN). 1. 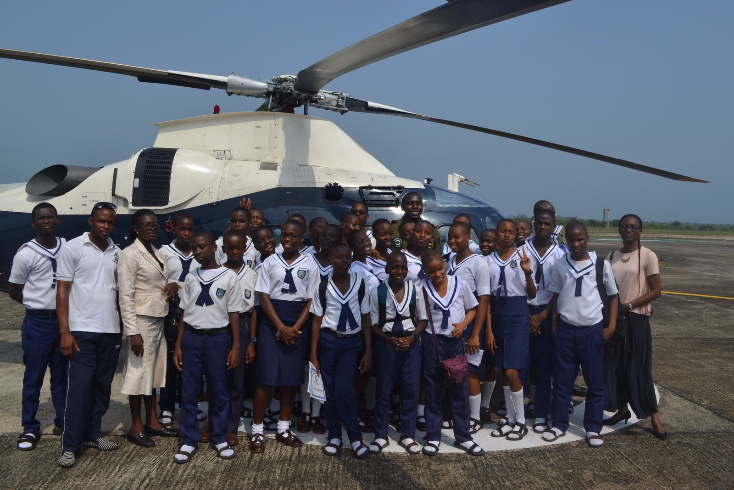 Nigerian Airforce School Ikeja, Lagos. 2. Command children School Ikeja, Lagos. 3. Command Children School Ojo, Lagos. 4. Nigerian Airforce Victoria Island, Lagos. 5. Command Children School, Yaba, Lagos. 6. Nigerian Navy Primary School, Ojo, Lagos. 7. Nigerian Navy Primary School, Mobil Road, Lagos. 8. Nigerian Navy Primary School, Okokomaiko, Lagos. 9. Nigerian Navy Primary School, Borokiri, Port Harcourt. 10. Nigerian Navy Primary School, Pathfinder, Port Harcourt. 11. Nigerian Navy Primary School, Ikot Ansa, Calabar. 13. 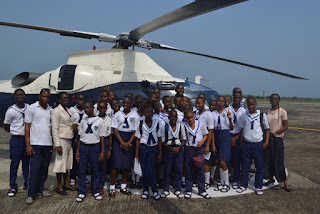 Nigerian Navy Primary School, Onne, Port Harcourt. 14. Nigerian Navy Finance and Logistic School, Owerrinta. 16. Nigerian Navy Ship Delta, Warri, Delta State. 17. Nigerian Navy Ship Victory, Calabar. 18. Command Children School, Mogadishu Cantonment, Abuja. 22. Nigerian Navy Secondary School, Calabar. 23. Nigerian Navy Secondary School, Port Harcourt. 24. Nigerian Navy Secondary School, Ojo, Lagos. 25. Akwa Ibom State Liaison Office. 26. Nigerian Navy School of Health Science, Offa. 27. Directorate of Naval Education, 1-3 Moloney Street, Lagos. 28. Delta state Liaison Office, 19 Karimu Lotun Street, Victoria Island, Lagos. 29. Kwara State Liaison Office, 11 Idowu Martins Street, Victoria Island, Lagos. 30. Osun State Liaison Office, 53B Remi Fani Kayode Street, GRA, Ikeja, Lagos. 31. Oyo State Liaison Office, 83 Oduduwa Crescent, GRA, Ikeja, Lagos. 32. Anambra State Liaison Office, Plot 1231, Bishop Oluwole Street, Victoria Island, Lagos. 33. Bayelsa State Liaison Office, Plot 1233, Bishop Oluwole Street, Victoria Island, Lagos. 34. Abia State Liaison Office, Plot 122B, Bishop Oluwole Street, VI, Lagos. 35. Benue State Liaison Office, Lagos. 36. Sokoto State Liaison Office, Lagos. 38. Kogi State Liaison Office, Lagos. 39. YobeState Liaison Office, Lagos. 40. Adamawa State Liaison Office, Lagos. 42. Ekiti State Liaison Office, 18A Oduduwa Crescent, GRA, Ikeja, Lagos. 43. Ogun State Liaison Office, 85 Oduduwa Crescent, GRA, Ikeja, Lagos. 44. Kaduna State Liaison Office, Lagos. 45. Borno State Liaison Office, Lagos. 46. Cross Rivers State Liaison Office, 6c, Club Road, Ikoyi, ikeja. Candidates who have already registered on this portal who can't remember their login details can recover their serial number and pin. Save the scratch card details (PIN and Serial Number) for subsequent access to the NNSS Admissions website. Also be sure to maintain the GSM and email box registered on the completed e-form so as to receive occasional information on the status of the application. Registration ends on May 15, 2019.